Since Doodlebug Design released their adorable stamp sets, stamping on my layouts has been my new favorite technique. I had so much fun creating this colorful stamped rainbow to coordinate with the Simply Spring collection! The mix of flowers, cute insects, and spring colors in this collection make me so happy! Bring on spring! ​Creating the rainbow was not only fun, but super easy! I used the Doodlebug Design Rainbow with Clouds cut file to first cut out all the arches of the rainbow from scrap paper. 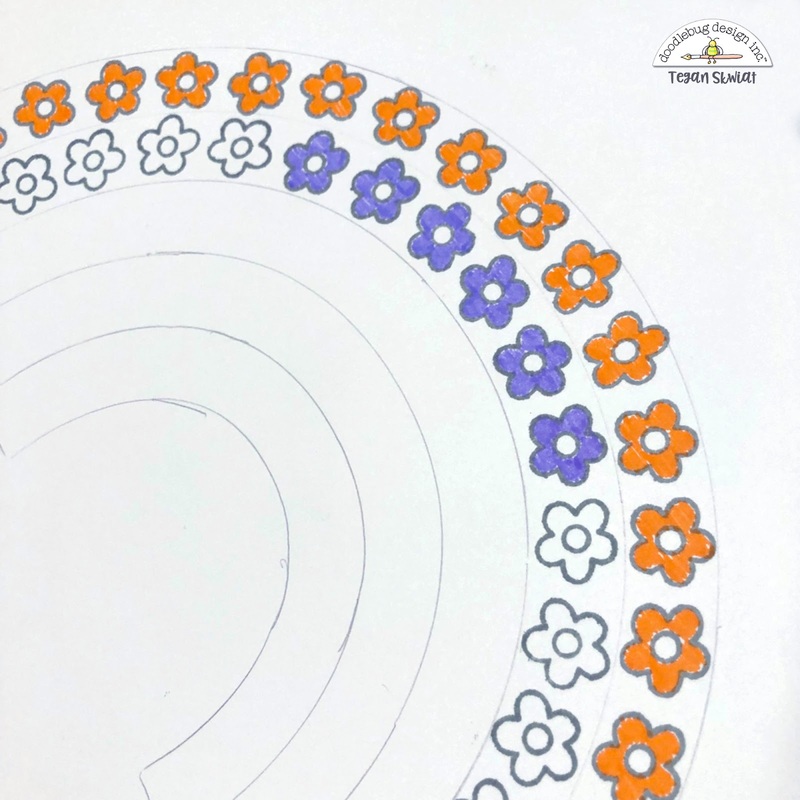 I then lined them up on my layout and traced each arch with a pencil. I then used the small flower from the Simply Spring Flower Girl Stamp set to stamp inside the arches. I gently erased the pencil lines when I was done. ​All of the stamps in this stamp set are so very cute! I can't wait to use more of the images from this set. Once my rainbow was colored in, I embellished the page with an Odds & Ends cloud shape and sun shaped Doodle Pop. ​I used fun pieces from the Odds & Ends pack, the Chit Chat pack, and Lilac Abigail Alphabet stickers to make the title. Of course I had to use some Bubblegum Doodle Twine as the string for my banner. 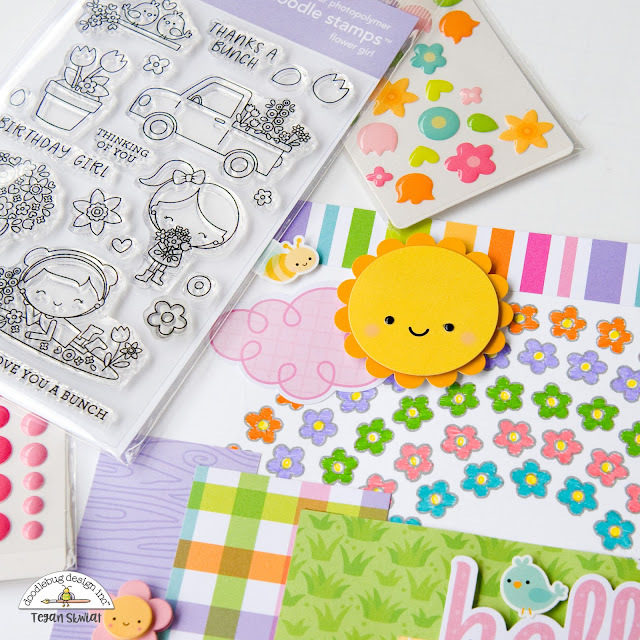 ​I finished the page with this adorable girl Odds & Ends die cut and May Flowers Doodle Pops. A lady bug from the Little Critters Sprinkles is taking a stroll in the girl's garden. ​Thanks for joining me today! I hope I have inspired you to get creative with Doodlebug Design stamps on your next layout or project! Absolutely FABULOUS!! That stamped rainbow is amazing and I love all the little details!